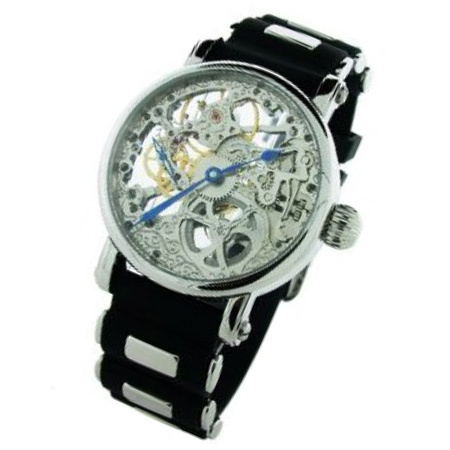 Rougois Mechanique collection skeleton watch. Beautifully Decorated two tone mechanical wind up movement with rubies in place in the moving parts. This is not only very functional watch but also very captivating and mesmerizing to look at the skeletal movement in motion.The polished steel bezel adds elegance to the appearance. 44mm wide stainless steel case. Large wind up crown for ease of setting and winding. Black rubber strap with polished steel plated inserts & scratch resistant mineral crystal Blue color hour & minute hand. Second hand is next to the "9" position on the left side. Push pull crown and water resistant. 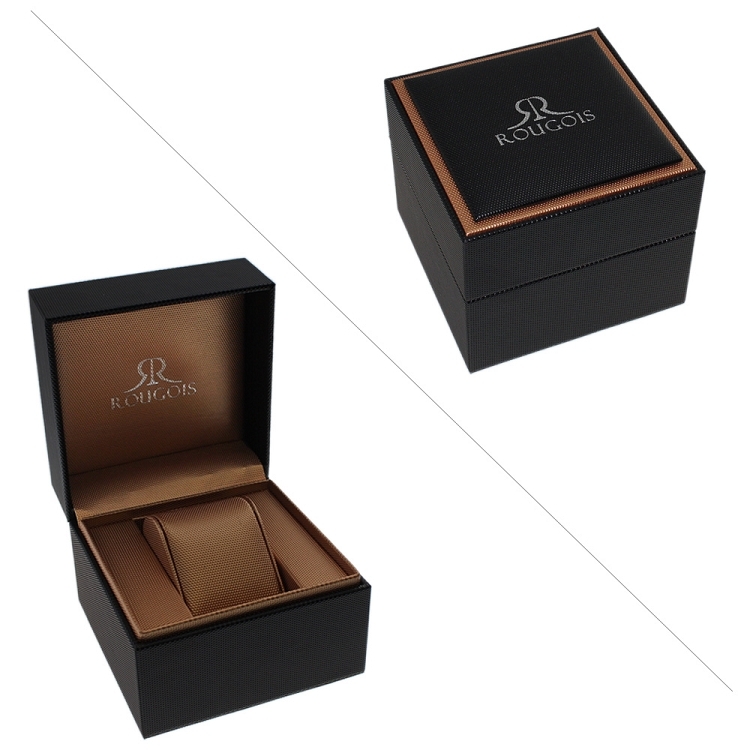 The watch comes in a trophy presentation shadow box which holds the watch in suspension between two clear elastic sheets. This can be displayed upright or down and allows you to display and showcase your piece.